All 20 teams from last week’s VSN Top 20 remain in the poll this week and all but a few remain exactly where they were a week ago. The only changes occurred at the back end of the Top 10, where last week’s No. 8 team, Towson, fell back three spots after a lopsided loss to No. 3 Eastern Tech in the Baltimore County Championship Game. Towson fell to No. 11, allowing the three teams directly behind the Generals to all climb one space. Mount Hebron moved up to No. 8; Broadneck, which defeated No. 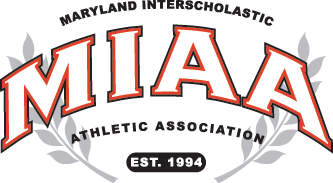 12 Meade (on penalty kicks) in the Anne Arundel County title game, is at No. 9; and Calvert Hall is up to No. 10. Of note, No. 1 Loyola completed the regular season unbeaten and untied. The Dons are 17-0 overall and 16-0 in the MIAA A as they prepare for a semifinal game on Thursday. The rest of the Top 5 continues with No. 2 River Hill, No. 3 Eastern Tech, No. 4 McDonogh and No. 5 C Milton Wright.